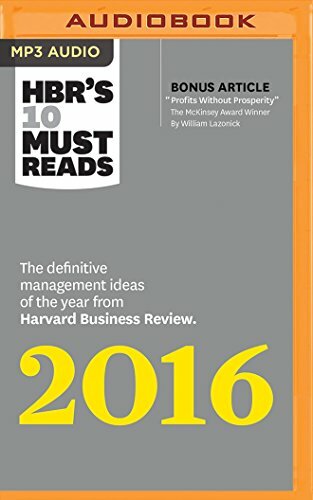 9781633692114 | Harvard Business School Pr, January 3, 2017, cover price $50.00 | About this edition: The one primer you need to develop your managerial and leadership skills. 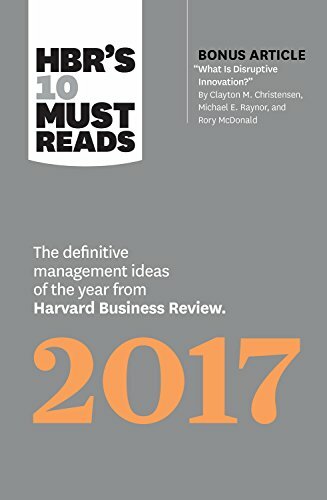 9781633691247 | Reprint edition (Harvard Business School Pr, January 3, 2017), cover price $29.99 | About this edition: The one primer you need to develop your managerial and leadership skills. 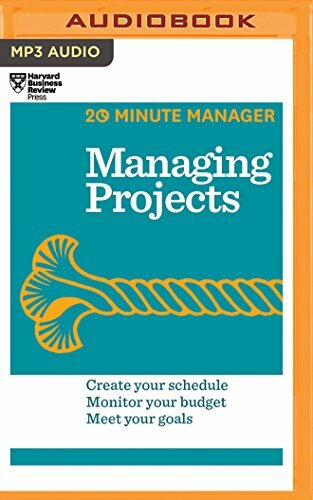 9781633692176 | Harvard Business School Pr, December 6, 2016, cover price $19.95 | About this edition: Make every minute count. 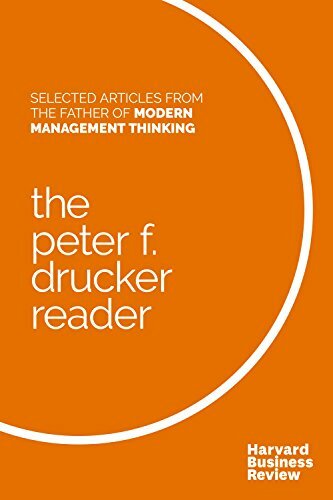 9781633692190 | Harvard Business School Pr, December 6, 2016, cover price $24.95 | About this edition: The best of Peter F.
9781633692091 | Harvard Business School Pr, November 1, 2016, cover price $24.95 | About this edition: A year’s worth of management wisdom, all in one place. 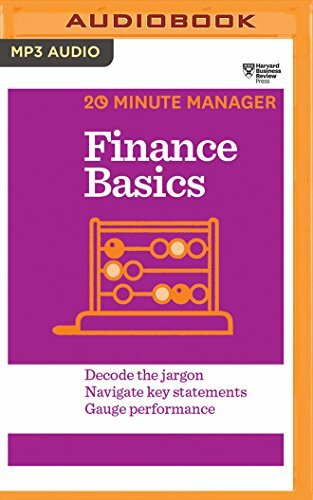 9781511366892 | Mp3 una edition (Audible Studios on Brilliance audio, August 9, 2016), cover price $9.99 | About this edition: Intimidated by corporate finance? 9781511367271 | Mp3 una edition (Audible Studios on Brilliance audio, August 9, 2016), cover price $9.99 | About this edition: Don't leave creativity up to the "creatives" in your organization. 9781531836320 | Unabridged edition (Audible Studios on Brilliance audio, August 9, 2016), cover price $14.99 | About this edition: Don't leave creativity up to the "creatives" in your organization. 9781511327572 | Mp3 una edition (Brilliance Audio, December 1, 2015), cover price $9.99 | About this edition: Don't leave creativity up to the "creatives" in your organization. 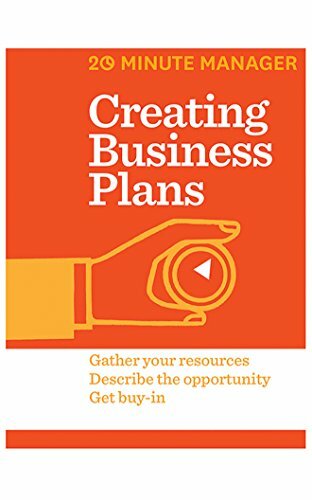 9781511366915 | Mp3 una edition (Audible Studios on Brilliance audio, August 9, 2016), cover price $9.99 | About this edition: A well-crafted business plan generates enthusiasm for your idea and boosts your odds of successâwhether you're proposing a new initiative within your organization or starting an entirely new company. 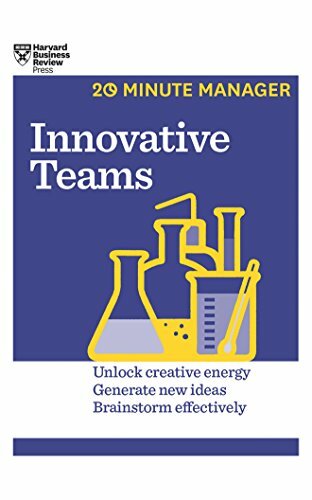 9781531836269 | Unabridged edition (Audible Studios on Brilliance audio, August 9, 2016), cover price $14.99 | About this edition: A well-crafted business plan generates enthusiasm for your idea and boosts your odds of successâwhether you're proposing a new initiative within your organization or starting an entirely new company. 9781531835767 | Mp3 una edition (Audible Studios on Brilliance audio, August 9, 2016), cover price $9.99 | About this edition: You have to talk with a colleague about a fraught situation, but you're worried that they'll yell or blame you or shut down. 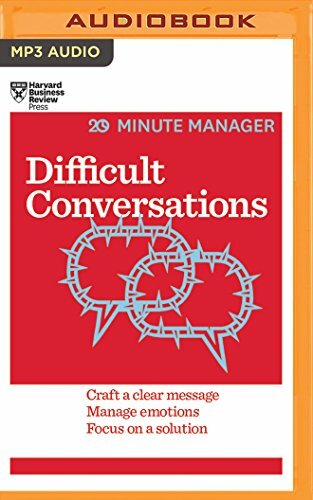 9781531836627 | Unabridged edition (Audible Studios on Brilliance audio, August 9, 2016), cover price $14.99 | About this edition: You have to talk with a colleague about a fraught situation, but you're worried that they'll yell or blame you or shut down. 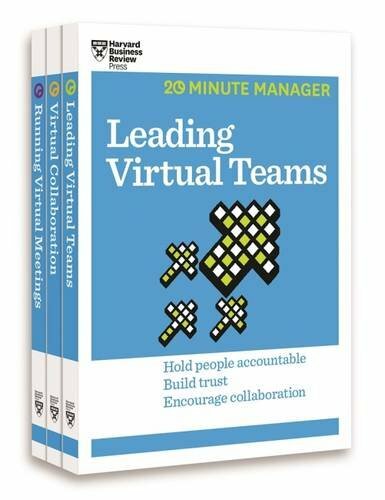 9781511366946 | Mp3 una edition (Audible Studios on Brilliance audio, August 9, 2016), cover price $9.99 | About this edition: Whether you're new to running meetings or a seasoned executive with no time to waste, leading effective (and even pleasant! 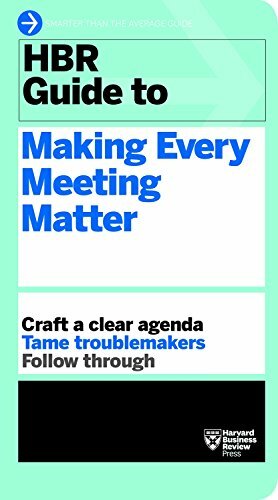 9781531836290 | Unabridged edition (Audible Studios on Brilliance audio, August 9, 2016), cover price $14.99 | About this edition: Whether you're new to running meetings or a seasoned executive with no time to waste, leading effective (and even pleasant! 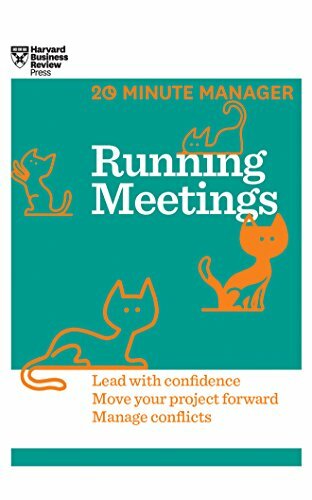 9781511321181 | Mp3 una edition (Brilliance Audio, November 10, 2015), cover price $9.99 | About this edition: Whether you're new to running meetings or a seasoned executive with no time to waste, leading effective (and even pleasant! 9781511366885 | Mp3 una edition (Audible Studios on Brilliance audio, August 9, 2016), cover price $9.99 | About this edition: You've been asked to manage a key projectâor perhaps you've volunteered for an assignment that could advance your career. 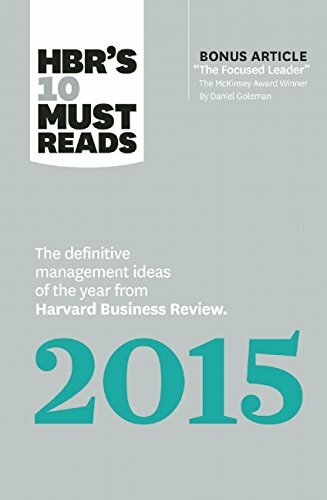 9781633690806 | Harvard Business School Pr, December 1, 2015, cover price $24.95 | About this edition: A year’s worth of management wisdom, all in one place. 9781531835774 | Mp3 una edition (Audible Studios on Brilliance audio, September 13, 2016), cover price $14.99 | About this edition: A year's worth of management wisdom, all in one place. 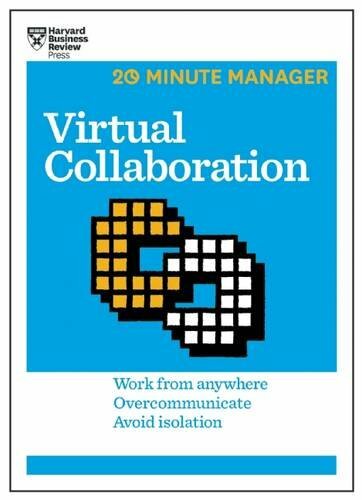 9781633691476 | Harvard Business School Pr, August 2, 2016, cover price $12.95 | About this edition: Working remotely gives you flexibility and independence. 9781633692374 | Harvard Business School Pr, August 2, 2016, cover price $35.00 | About this edition: Today we have greater control over where and when we work. 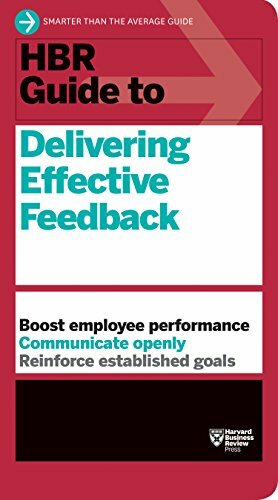 9781633691643 | Harvard Business School Pr, May 10, 2016, cover price $19.95 | About this edition: Take the stress out of giving feedback. 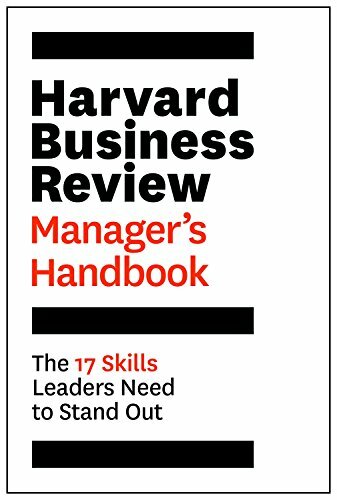 9781633691629 | Harvard Business School Pr, May 3, 2016, cover price $24.95 | About this edition: Put an end to miscommunication and inefficiencyÂand tap into the strengths of your diverse team. 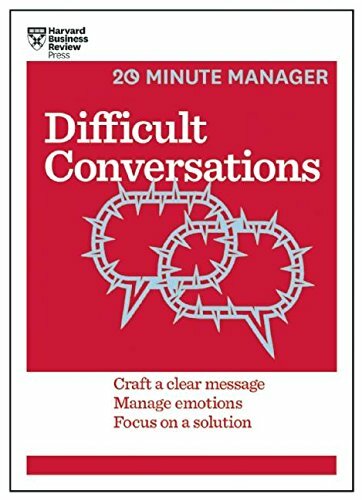 9781633690783 | Harvard Business School Pr, February 16, 2016, cover price $12.95 | About this edition: You have to talk with a colleague about a fraught situation, but youâre worried that theyâll yell, or blame you, or shut down. 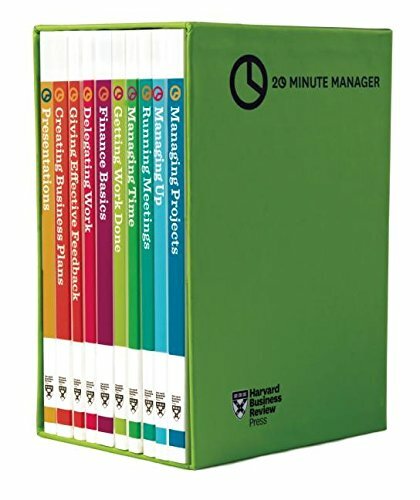 9781633690950 | Box edition (Harvard Business School Pr, May 12, 2015), cover price $110.00 | About this edition: Youâll get up to speed fast on the most essential business skills with this set of concise, practical primers. 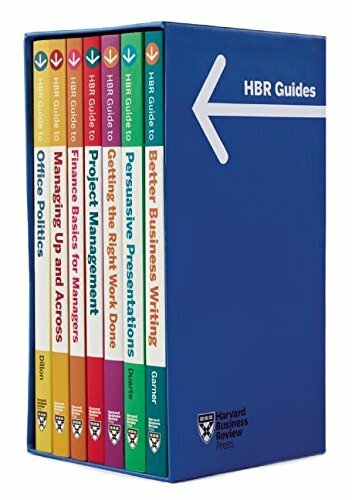 9781633690936 | Box edition (Harvard Business School Pr, May 12, 2015), cover price $115.00 | About this edition: Master your most pressing professional challenges with this seven-volume set that collects the smartest best practices from leading experts all in one place. 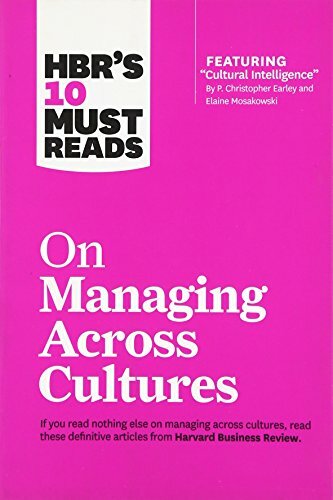 9781633690219 | Harvard Business School Pr, May 5, 2015, cover price $24.95 | About this edition: A yearâs worth of management wisdom, all in one place. 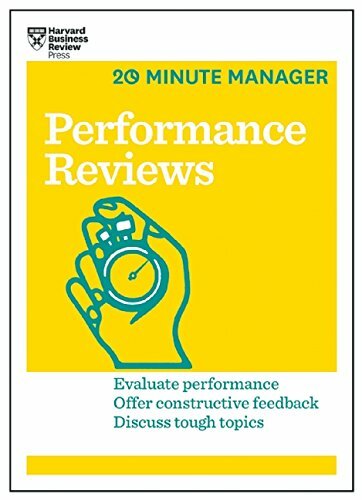 9781633690066 | Harvard Business School Pr, May 5, 2015, cover price $12.95 | About this edition: Conducting performance reviews can be stressful. 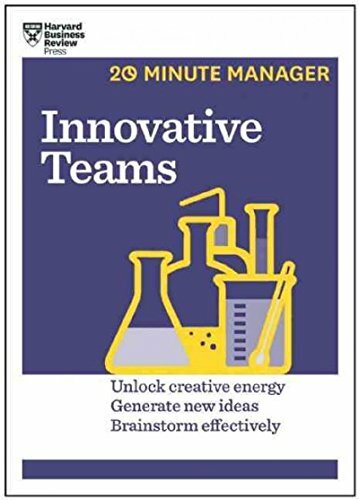 9781633690042 | Harvard Business School Pr, May 5, 2015, cover price $12.95 | About this edition: Don't leave creativity up to the "creatives" in your organization. Hbr's 10 Must Reads on Emotional Intelligence: With Featured Article What Makes a Leader? 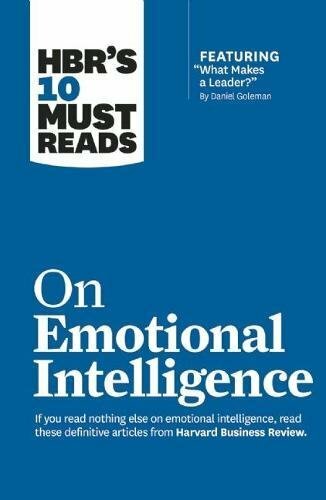 9781633690196 | Harvard Business School Pr, May 5, 2015, cover price $24.95 | About this edition: In his defining work on emotional intelligence, bestselling author Daniel Goleman found that it is twice as important as other competencies in determining outstanding leadership.